If you haven't read it already, there's a farewell post on the blog. 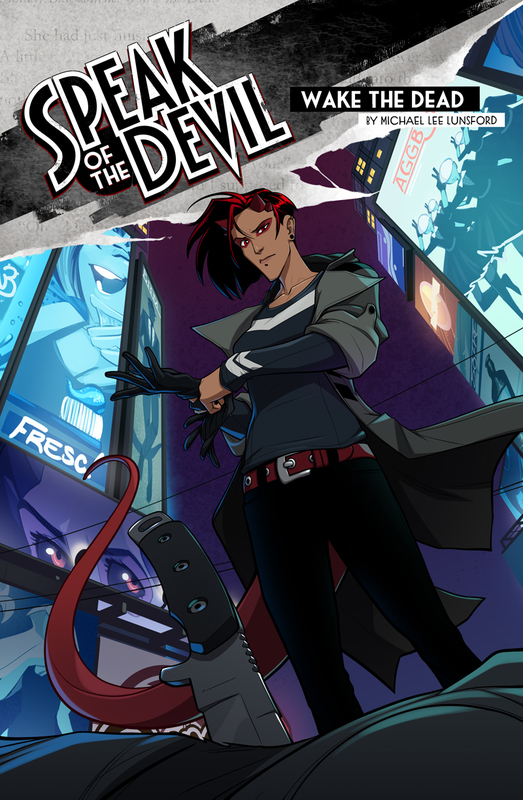 Speak of the Devil has launched! My new comic Speak of the Devil has officially launched! 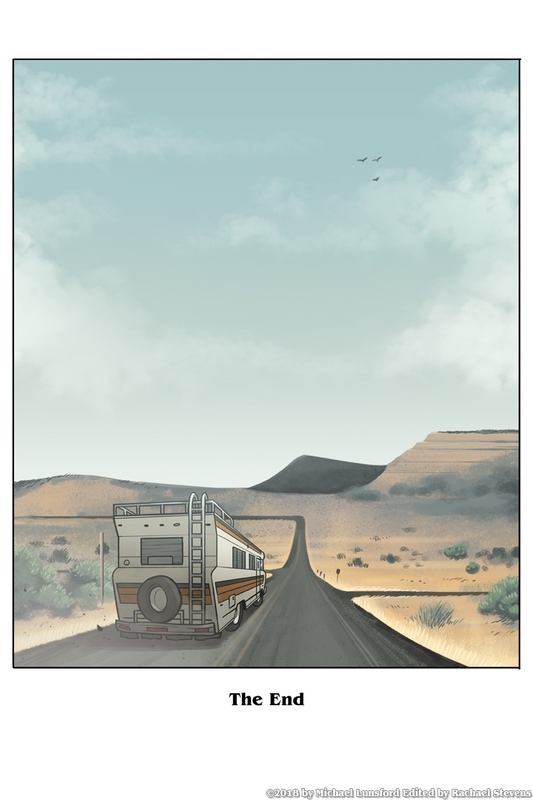 You can start reading now over at http://speakdevil.com/! Hey everyone! I decided to do a live creator commentary of the entire series! For about 4 and half hours I flipped through the comic start to finish, and talked about it with a live chatroom of readers. Enjoy! Hello Readers! With the comic ending very soon, I wanted to say a few words. I started this comic in 2009, with zero idea where it would go. It was perhaps, not the smartest career path. I gave up a lot of opportunities that would have likely been much more profitable in the past decade in order to keep making Supernormal Step. That is to say, I loved working on it, and even if it wasn't a huge success for me financially, that was enough. I always knew it would end someday though. I know, "as all things must' and what not, but really, I wanted it to have an ending. Some comics seem to never end, or never plan to. If that's your thing, that's fine I guess, but it's not for me. It's not the cleanest bow to put on the series, but this is where we stop following the characters. Finally you can assume whoever is left will get some rest, free from my torment. The world is a mess, but they'll probably get through it. Supernormal Step has been a weird silly thing to try and wrangle into a full story, and it's time for me to move on. When I started I had never written anything substantial, it was all a learning process. The result of that is a bunch of weird decisions I got stuck with trying to justify for almost a third of my life. At least some I got to sweep under the rug and hope no one remembers, like unfortunate costume choices, but others I had to hang onto and keep trying to write around. I'm excited to finally take what I've learned since then and start something new with it. I have some sort of experience now, let's see what I can do with it. Right now, that leads to a Tumblr blog with a bunch of concept art, but soon that URL will lead to an all new comic, Speak of the Devil, which you'll get to watch grow from the very beginning. The current plan is to launch sometime in July, maybe follow my twitter account if you want further updates, I'll also likely post another blog here when it officially launches. Also, in the time between Supernormal Step ending and Speak of the Devil beginning, I'll basically have no job. If you'd like to support me in the meantime there's my Patreon and Ko-fi. I would really appreciate it, but if you can't, that's totally okay as well, I'll be fine. Until next time, thank you all for reading, you're all beautiful.